It's been a very rainy spring and summer here in the DC area. Not that I'm complaining - I can get QUITE lazy when it comes to watering our garden, so thank goodness Mother Nature has me covered! PLUS - it's been the perfect excuse to wear my new Stutterheim coat. I fell in love with Stutterheim a few years ago when we traveled to Portland, Maine. I had tried on this coat, but didn't buy it then...I thought about it for a year before finally buying it, and I wish I hadn't waited so long! Now I wear it ALL the time. 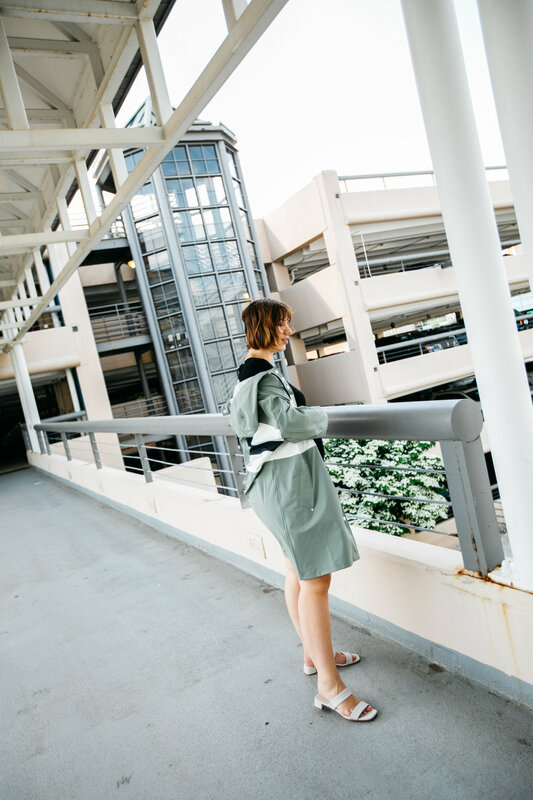 But as summer rolled around, I realized I needed to invest in a lighter-weight one...enter: The Nora Contrast Raincoat in Khaki Green. With all the wet weather we've been experiencing here in the DC area, this relaxed style has been such a go-to this spring and summer. 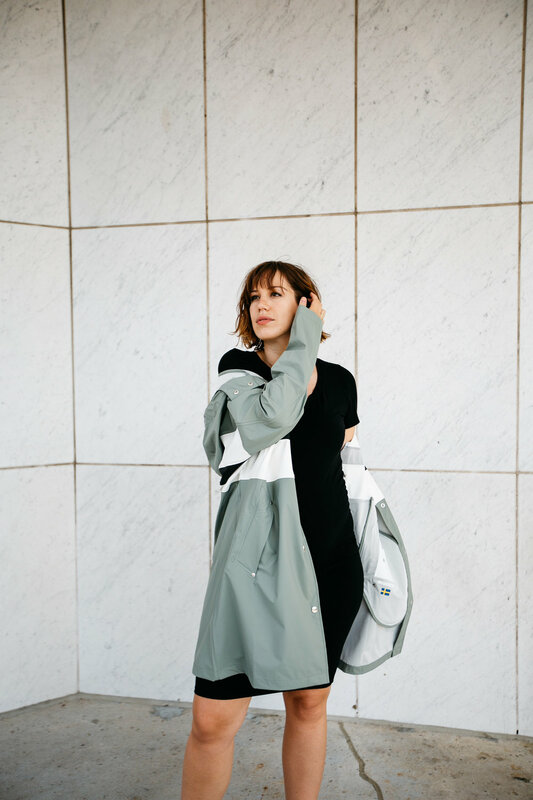 PLUS - this style is one of the many that are a part of the Stutterheim Summer Sale - so you can score this Scandinavian favorite for under $160 right now. 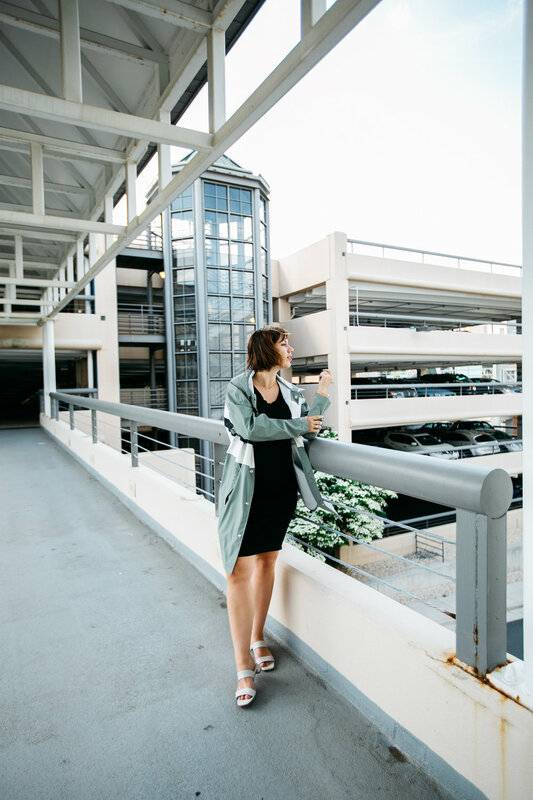 Wearing Stutterheim Nora Contrast Raincoat (on sale!! ), Storq t-shirt dress, COS sandals (similar), Fossil watch, Mejuri necklace.